Giant bully (Gobiomorphus gobioides), an endemic NZ coastal stream fish. 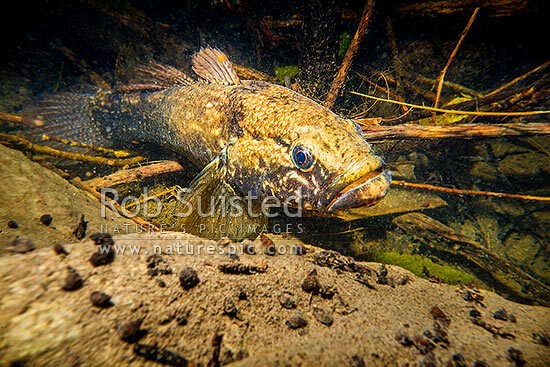 Here a 250mm long fish lies in wait in a deep forest stream. Photographed in the wild, Kapiti Coast District, Wellington Region, New Zealand (NZ), stock photo.